A Hindu shrine supposedly built during the era of the “Peshwas” and renowned for having been made from “Kashmiri white marble” known as Shri Dashbhuj Lakshmi Ganesh Temple is located in Maharashtra. 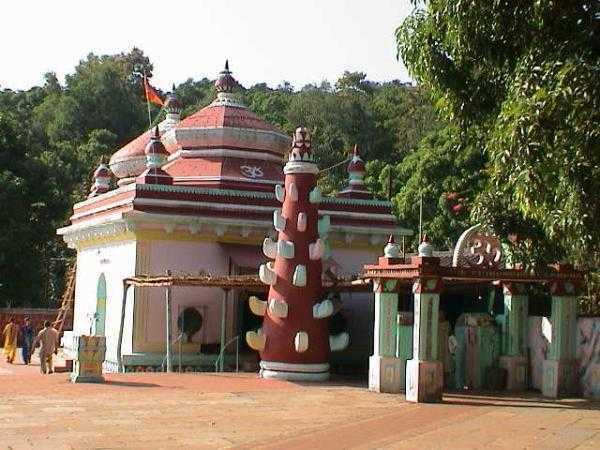 This Lord Ganesh devoted temple is situated in a village called Hedvi in the Ratnagiri district. In addition, this temple also possesses a Lord Ganesh idol that is about three feet in height and consists of ten hands. Furthermore, in close proximity to the temple lies the Hedvi beach. The nearest railway station to this temple is located in Chiplun. The Chiplun Railway Station is well connected to major cities in the country via regular express and passenger trains. In addition, the Ratnagiri Railway Station is also located in close proximity to this temple at a distance of 90 km from this beach. There are three routes from Kolhapur to this temple, and they are via NH-166, via NH-48 and Karad Chiplun Road, and via NH-66. There are three routes from Mumbai to this temple, and they are via NH-66, via Mumbai Highway/Mumbai-Bangalore Highway/Mumbai-Pune Highway and NH-48, and via Mumbai Highway/Mumbai-Bangalore Highway/ Mumbai-Pune Highway. There are three routes from Pune to this temple, and they are via NH-48 and Umbraj-Chiplun Road, via MH SH-70 and NH-66, and via NH-66. There are three routes from Belgaum to this temple, and they are via NH-48 and Karad-Chiplun Road, via NH-48 and NH-166, and via NH-66. According to a myth, the idol of this temple was first found on top of mountain which was then retrieved and enshrined at the spot where it stands today. Apparently, the Ganesh idol installed at this temple is about three feet in height and comprises about ten hands. In addition, this temple is also said to have been built using marbles specially obtained from “Kashmir”. As for religious significance, there are none whatsoever attached to this temple.